Mike Arduser has (mostly) finished identifying the bees we found during our insect week in early July this year. Though the data we collected during that week was just a first step, the early results are very positive. 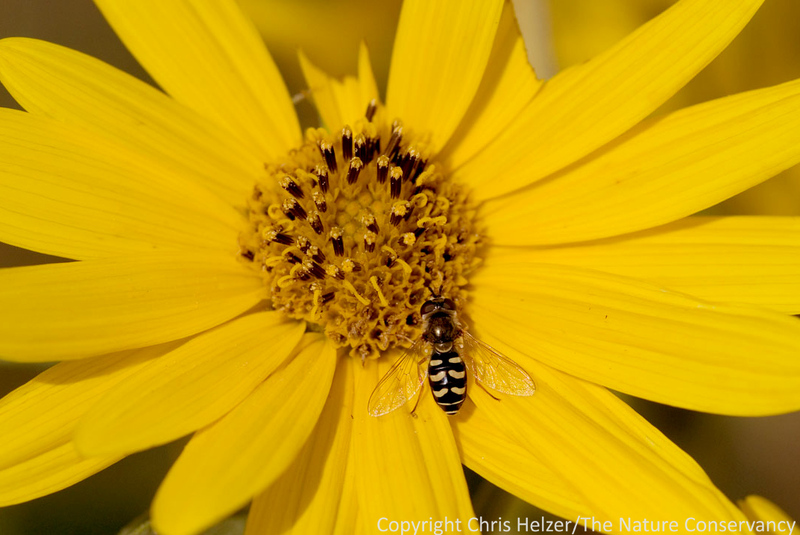 It appears that our restored prairies are providing adequate habitat for most bee species, including some that have fairly specialized needs for nesting or feeding habitat. Below is a summary of what we’ve found so far, what I think it means, and what our next steps are. 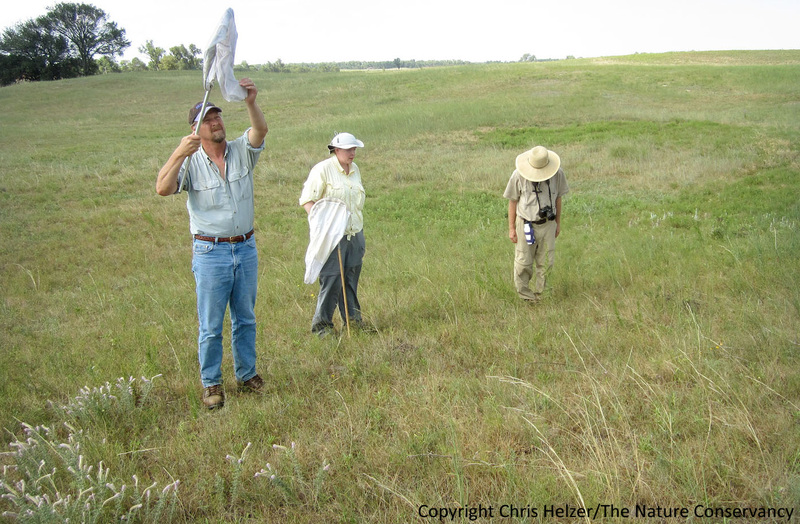 Mike Arduser (left) inspecting a captured bee in the Platte Prairies back in July, 2012. 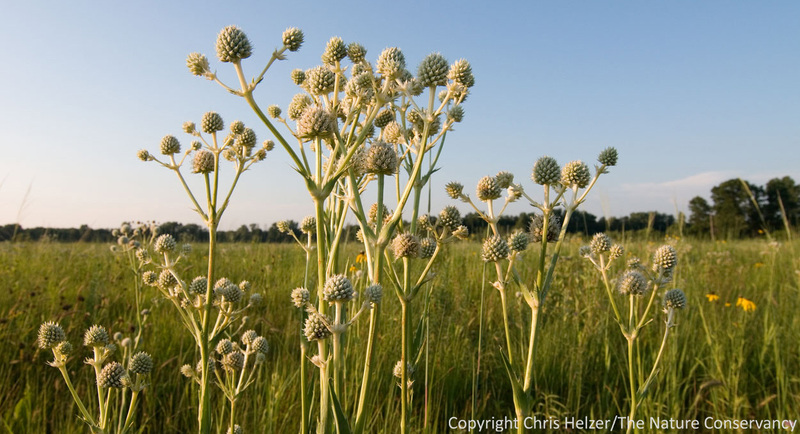 As a reminder, our restoration objective is to reconnect and enlarge existing prairies by converting nearby crop fields to high-diversity prairie plant communities. We hope the result is a larger, more connected, and more ecologically resilient prairie landscape. The diverse plant communities in those restorations have successfully established, and we’ve been able to measure that by tracking plant species diversity and floristic quality. It’s been more difficult to measure whether or not those restored prairies are actually stitching the surrounding landscape back together. Our insect week this summer was an important step in evaluating that.